When all the markets reversed to the upside, after having opened lower and then gotten higher on the day, I said to myself, 'this is turning better, something's taking place. Perhaps it was the agreement that was reached between the EU (European Union) fiscal authorities and Greece… that seemed to me to be the turning point and once you got higher on the day, it's as if the shorts, I being included, had to rush to get long and I actually ended the day long here, which is unusual for me to turn my position that quickly. Anybody who is short and there are a lot of smart people out there that are heavily short and they will have to run to cover. It can get real ugly. As we know, a strong dollar begets weaker commodity prices all things being otherwise equal. 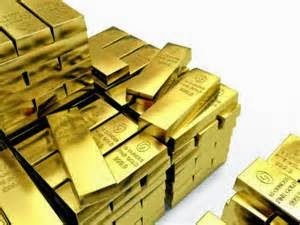 With the strength of the dollar, that I think shall continue, it’s going to put downward pressure, on balance, on gold. There has been an aggressive seller of spot gold at 1,270 to 1,285. Whoever that person or institution is will likely continue to be there until after a rate increase. If you have to trade gold, stay on the sidelines in terms of U.S. dollars. I love the notion of being long of Gold in Non-US terms particularly in Yen and Euro terms. There is, however, one major factor in the market that gives us very real reason to be concerned: the net commercial short position in gold futures is amongst the highest levels seen since the turn of the century and characteristically these have developed at important gold market tops. The top in 2008 was made when the commercials were almost as short as they are now; the top in ’09 was made the same way as was the real top in 2011 when gold peaked at $1,900. Attention must be paid. Demand for gold is very strong and what you are seeing is people are moving out of all currencies on balance, out of the Euro, Ruble, Yen, Renminbi. So I've been bullish primarily in Euro and Yen terms, and now I'm turning bullish even on US Dollar terms. If you see commodity prices continue to rally, you will see Gold prices rally. You have to argue for stronger Gold prices, gold has been strong for the past few months and likely to continue. Given the recent sharp weakness in the Japanese Yen and the recent modest weakness in the EUR, taking both to levels we thought likely to find support, we moved to reduce our long positions in EUR/gold and Yen/gold modestly, replacing those positions with US dollar denominated gold instead, ending the day evenly split between the three “types” of gold but keeping our over-all gold position intact. 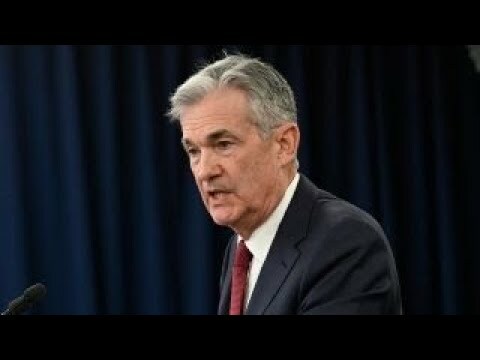 We are quite convinced at this point is that the bear market that had so plagued gold priced in US dollars since November of 2011 has rather obviously ended, even as the bull market in gold priced in yen has been extant for nearly three years and as gold prices in euros has been extant for a year or more. We have no idea who it is or ‘what’ it is that has been selling spot gold at $1,300, but the seller there is obviously formidable. That seller shall have to be vanquished before the next bull run. One gets the sense, however, that the bullish forces are camping out just below that level to gather themselves for an assault upon the $1,300 fortifications. Let the battle lines be drawn. 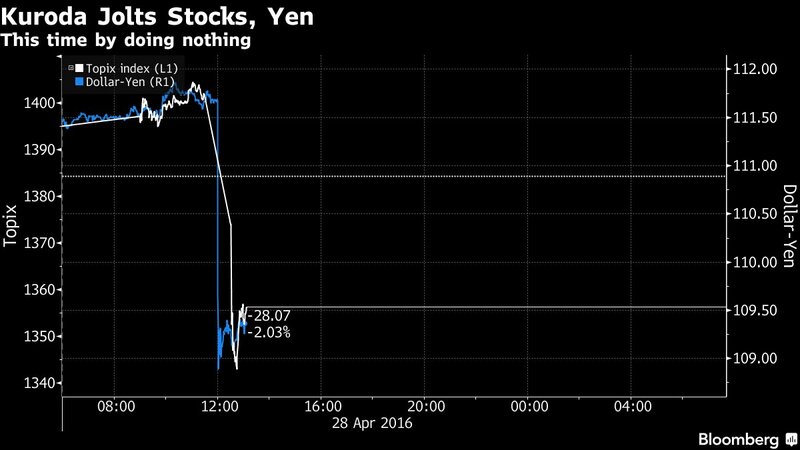 The BoJ has made a very, very big mistake. The stock market has plunged. Corporate Japan, hoping for greater monetary wind behind its sails, has been thrown an anchor instead and needing a materially weaker yen has gotten a materially stronger yen instead. We are stunned.